M a k e u p - o r - M o r t e: ***CLOSED*** 100 follower giveaway!!! - Joe Fresh nail polish in twilight!!! I'll also throw in a few extra things because I'm feeling generous! Everything is brand new and purchased by me. I should mention the HD powder wasn't sealed when I received it and a bit spilled out, but I taped it up and it's still like new. This giveaway is open to everyone everywhere. I only ask that if you enter you also follow my blog, since this is to celebrate all of my readers! Simply, leave me a comment with your email address, and let me know how you follow makeup or morte. For 1 extra entry, 'like' makeup or morte on facebookhere. For 1 extra entry, comment on my facebook page and tell me what you like most about makeup or morte. For 1 extra entry tweet about this giveaway on twitter, and link back to this post. For 2 extra entries, post about this giveaway on your blog and link back to this post. Giveaway is open from now until January 1st 2012! One winner will be chosen at random and notified via email. If I do not hear from the winner within 48 hours I will choose another winner at random. Thanks to everyone who made my day and followed my blog from the start. You all rock! Hi there, I'm a follower of Makeup-and-Morte and this is my first entry. 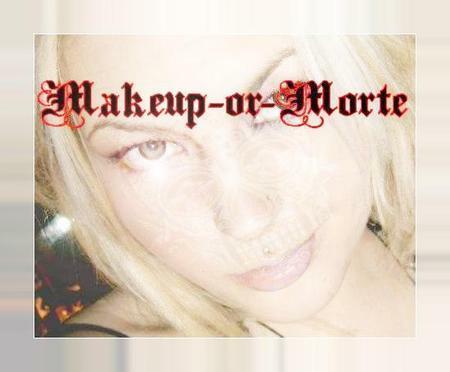 I am a follower of Makeup or Morte. -I left a message on your facebook page, telling you how awesome you are! -I tweeted about your giveaway, though I don't know how to link it to the post, so I guess you can hopefully take my word for it! -and I don't have a blog! -oh! and I follow you by google account! Congratulations on getting so many followers! I know that you will soon have many, many more. I love your blog and enjoy seeing all the looks that you do (I'm trying to copy them, but I still don't have your face, unfortunately!) I also love reading the reviews as that gives me an idea whether or not products might work for me. 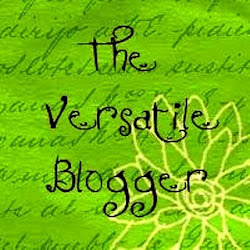 I follow the blog via GFC as Sherry Brook- email is ElisMom1 (at) gmail (dot) com. Thank you so much for offering us the chance to win this generous giveaway! I follow you on Facebook as Lynn Brooks. I am also your email subscriber at crystesmom (at) yahoo (dot) com. I answered the required question a couple of days back on Facebook as Lynn Brooks. I'm sorry about the delay in completing my entry, but RL got in the way until tonight! Enter me please! I'm already a follower via GFC, my nick is fisiwoman. Following on FB (Ana Belén R M) and commented on your wall. Hi! I just happened to google swatches of a Kat Von D palette and ran across your blog, surprised I've never seen it before! It's really great, lovely reviews and swatches. Anyways, I'm following via GFC. I tweeted here: http://twitter.com/#!/glamgirl2014/status/140187588802777088. I follow you through google friend connect and can be reached at timeislikeabrokenwatch@gmail.com. Thank you for doing the giveaway!